Keeping up with the news is hard—so hard, in fact, that we’ve decided to save you the hassle by rounding up the most mind-blowing events each week. After a relatively slow start, the week transformed into the sort of news-splosion that almost guarantees it’ll go down in history. The French and US political establishments were rocked to their core, while elsewhere, the world began to shift in surprising ways . . .
Let’s start with this week’s big story. On Sunday, May 7, the French public went to the polls to elect their new president. They wound up picking the youngest in French history. Self-styled “radical centrist” Emmanuel Macron is only 39 years old. 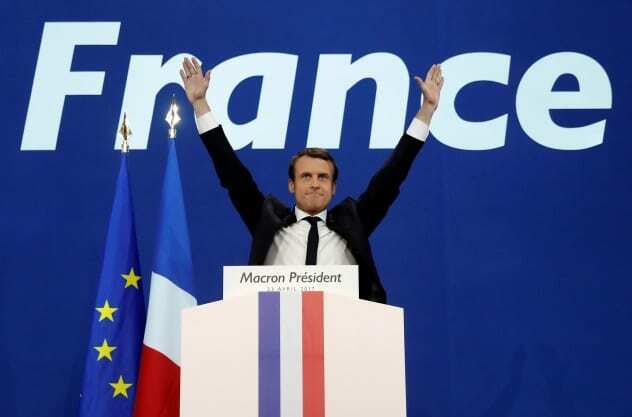 Less than a year ago, he quit his post as finance minister in the government of unpopular socialist president Francois Hollande to start his own political party, En Marche. Rest assured, this was as bonkers in France as it would be in the US. Prior to 2017, no postwar presidential candidate had won without either the Republican or Socialist party behind him. Imagine if Jack Lew had quit the Obama White House to founded a new political party in January 2016. The fact that 70 percent of you are now saying “Jack who?” shows just how bizarre a prospect this was. And yet, Macron won. Not only that, but he won by draping himself in the EU flag, calling for more immigration, and promising to strengthen ties with Berlin. It was a move no one else dared make, and it bought him a landslide victory (66.1%–33.9%) against his right-wing opponent, Marine Le Pen. Whether Macron can actually deliver on his promises is another matter. But still, there’s no doubting that his unlikely win was the political story of the year. 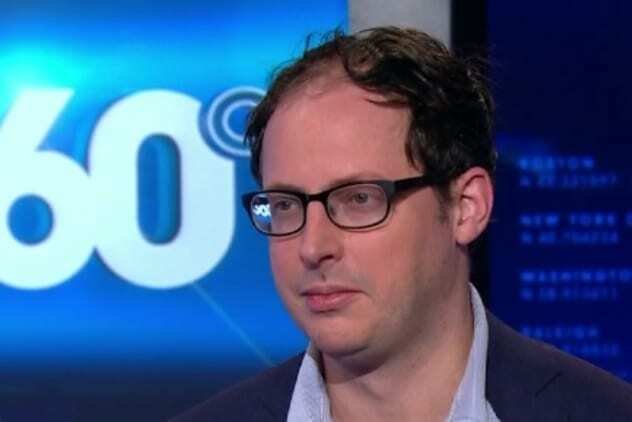 You’ve got to feel sorry for Nate Silver. A mere four years ago, the poll analyst was riding high off his almost bang-on prediction of the 2012 US election. He was the new prophet, the soothsayer who could divine the public mood with unerring accuracy. The age of election surprises was over. By our estimation, Mr. Silver will likely be living in a dumpster within the next few years; that’s how badly polls have screwed up recently. They missed Brexit. They missed Trump. They missed Colombia rejecting its peace deal with FARC. They wildly overstated support for Austria’s right-wing Norbert Hofer and the Netherlands’ Geert Wilders. And, last week, they did the same for Marine Le Pen. As Silver’s own blog FiveThirtyEight notes, however, this is the sort of polling miss that will get ignored. The polls predicted a Macron win, and Macron won. But they predicted a narrow-ish win, and instead Macron achieved a blowout victory. The polls may have called it the right way, but their actual numbers were way off. It seems that the age of polling is the one that’s really over. In August 2015, 61-year-old Raul Romero was walking to his car in Phoenix, Arizona, when he was shot dead. At the time, police filed it away as just a random, tragic killing. But then things started getting scary. Beginning January 2016, more and more people started to turn up dead, killed with the same weapon used to murder Romero. By the time the fifth victim was gunned down, the cops realized they had a serial killer on their hands. The Phoenix Serial Shooter caused havoc all through 2016, striking terror into the hearts of the city’s residents. All in all, nine people were shot to death, including 12-year-old Maleah Ellis on the doorstep of her own home. Many others were injured. It was a killing spree as despicable as any the state had ever seen. Then, on May 9, big news broke: Police had finally apprehended the serial shooter. 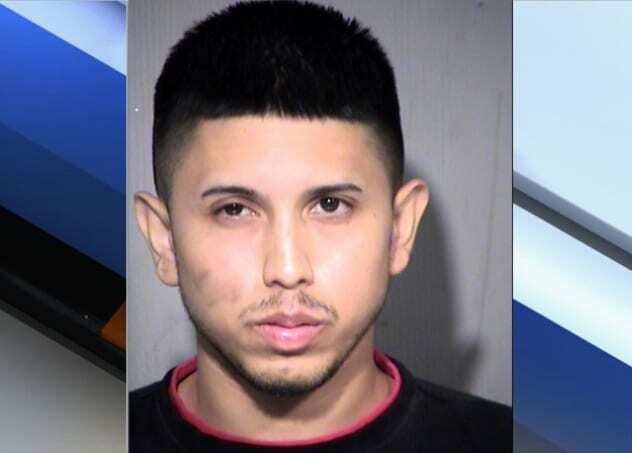 Aaron Saucedo, age 23, was caught after a tip-off from the public. He is currently awaiting trial and claims innocence. But if ballistics evidence proves his link to the killings, police will have finally solved one of the darkest serial killer cases in recent memory. It was one of the bleakest stories of the last five years. In Nigeria, Islamic terrorist group Boko Haram abducted 276 girls from a school in the town of Chibok, promising to sell them into slavery (or worse). Emotional pleas to find them followed. Other countries pledged time and resources to help. The story was shared around the world, but for nothing . . . until now. Last week, 82 of the missing schoolgirls were finally freed. They join 21 who were released in October as well as a tiny handful who managed to escape. While not the first, this is by far the largest release of the Chibok victims yet. In return, the Nigerian government handed over five Boko Haram commanders, a steep—but worthwhile—price for the teenagers’ safety. As great as this news was, it didn’t mark the end of the 82 girls’ ordeal. The 21 released in October have yet to return home from rehabilitation centers, and it seems likely that the newly freed 82 will be monitored for at least as long. Thankfully, though, they are now one step closer to being reunited with their families. With all the news about North Korea recently, you may have missed the madness happening in its usually stable southern neighbor. Briefly: late last year, President Park Geun Hye was embroiled in a scandal that saw her fall under the influence of a Rasputin-like cult leader who may have unduly influenced the government. Park, the daughter of South Korea’s assassinated strongman dictator, was forced from office, impeached, and is now on trial facing a possible life-imprisonment sentence. Amid the chaos of her trial, voters went to the polls to choose their new president. 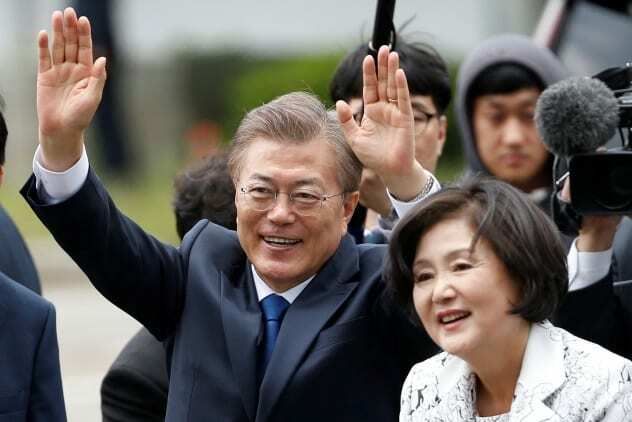 In an election with exceptionally high turnout, they selected left-wing Moon Jae In. One of the first things Moon did was to offer Kim Jong Un an olive branch. It’s important to remember that the DPRK is seen differently in South Korea. Many still dream of reuniting with their relatives over the border, and reunification is official policy. Still, Moon’s task won’t be easy. The DPRK is threatening more nuclear tests, and previous attempts at North-South rapprochement have ended in failure. Whether Moon can break that cycle remains to be seen. Speaking of the DPRK, Pyongyang did something incredibly rash last week that could have lasting impacts on the regime of Kim Jong Un. After official Chinese media started to question the North’s weapons program, Pyongyang’s government broadcaster responded by threatening China with nuclear war. The language used was identical to that Pyongyang reserves for its greatest enemies: South Korea and the US. But China isn’t an enemy. It’s the North’s only significant ally as well as the prime reason that the Hermit Kingdom hasn’t either collapsed or been invaded. China has been looking out for the poor, misunderstood DPRK for decades. And now, in true childish bully form, Kim is responding to his momma’s gentle admonitions by screaming that he hates her and wishes she would die. This is . . . not wise, to say the least. 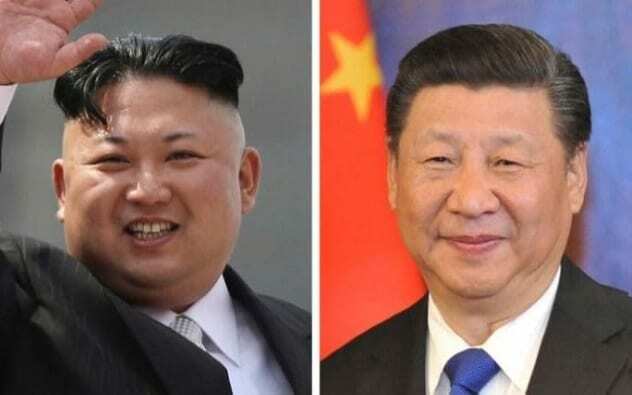 While it’s unlikely that China will cut the DPRK loose anytime soon, President Xi has already indicated he is losing patience with the Kim regime. If North Korea manages to drive off its only ally, Pyongyang will only have itself to blame when the DPRK inevitably implodes. Generally, we try to limit these roundups to truly significant news. But with all the doom and gloom going on, it’s sometimes good to throw a less serious story in. The honor this week goes to a report from Achill Island in Ireland. 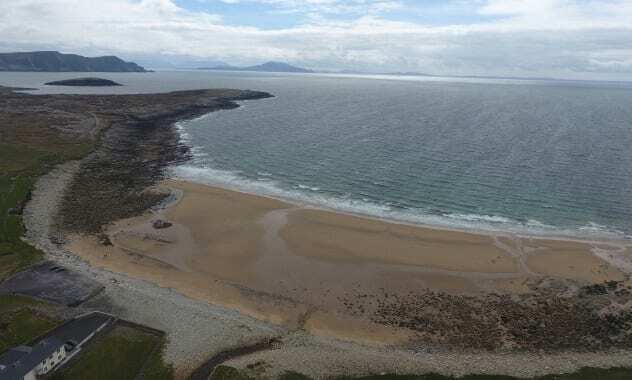 After a brutal storm battered their town over the weekend, residents of Dooagh woke up to discover that a vast beach they’d lost 33 years ago had magically reappeared. In 1984, a series of storms swept away Dooagh beach, a 300-meter (1,000 ft) stretch of golden sand that was the town’s pride and joy. Since then, the waterfront had been just a collection of slimy rocks. Then last week rolled round, bringing with it another storm. When it was over, the beach was back exactly as it had been, as if the intervening decades had never happened. The explanation was that this was a “freak of nature” event and unlikely to be repeated if the beach is washed away again. But, hey, at least this magical stretch of sand managed to give us some diversion from the turmoil gripping the world, right? And now back to that turmoil . . .
For a peaceful nation with a population of barely 10.5 million, the Czech Republic sure excels at political drama. Last week, Prime Minister Bohuslav Sobotka (pictured right above) unexpectedly announced his resignation. He then changed that to the entire government’s resignation, all in the hopes of taking down one man: populist billionaire politician Andrej Babis. Babis is somewhere between Emmanuel Macron, Donald Trump, and Silvio Berlusconi. He’s a billionaire populist who owns the country’s media but insists that he is a centrist. He’s also the current finance minister, and Sobotka’s resignation of the entire government was seemingly an attempt to kamikaze him and his new populist political party ahead of October’s elections. At this point, it gets crazily complex. The Czech Republic’s president (and Babis ally), Milos Zeman (pictured left above), refused the government’s resignation. 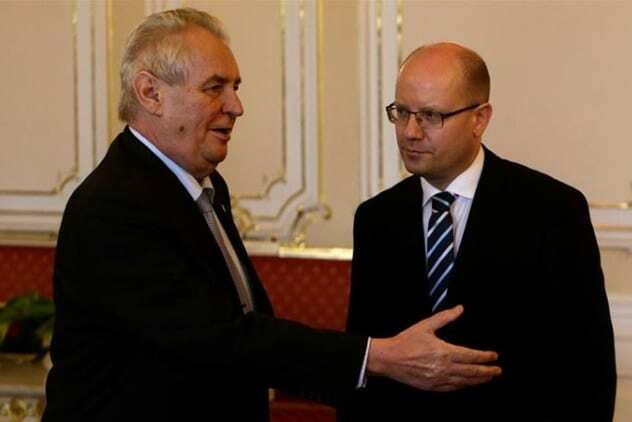 Instead, Zeman said Sobotka alone had resigned and would now have to leave. So Sobotka unresigned his government and then tried instead to fire Babis. Unfortunately, the Czech constitution states that all such sackings must be signed off by the president as a formality. Zeman refused. Where this leaves the Czech Republic is anyone’s guess. The government may or may not be leaving. The PM may or may not be forced to resign. And the president may or may not have broken constitutional law. And you thought US politics were crazy. You know that famous image of evolution, with one monkey leading into another, slightly more human monkey, and so on until you reach Homo sapiens? It turns out that image is way off. After scientists found the remains of 18 Homo naledi skeletons in 2015, they decided to test how old they were. Conventional scientific wisdom said they’d be a million years old. Instead, they turned out to date from around 236,000 years ago. That means Homo naledi was walking around at the same time as our ancestors. In other words, that monkey-man drawing should include a section where a whole bunch of ape descendants are squashed up against one another, fighting and generally trying to deal with their totally unexpected coexistence. Rather than evolving into a monkey-thing and then moving on upward, a whole branch of our forefathers evolved into monkey-things and then hung around at that stage, even as Neanderthals and modern humans developed. 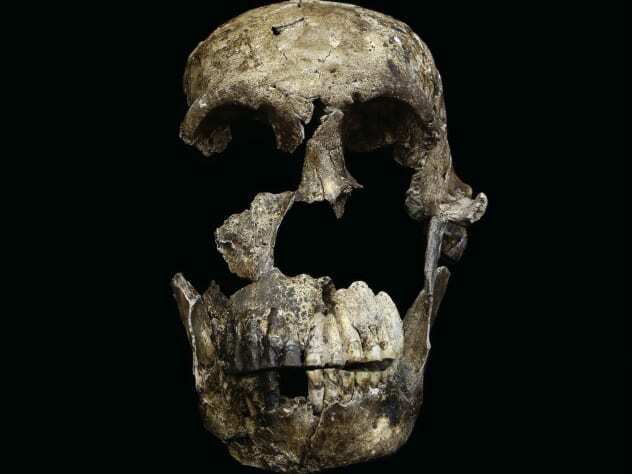 As a bonus, the team also found nonconclusive evidence that Homo naledi may have used tools. If confirmed, this would make us severely rethink the story of humanity’s rise. The Saturday Night Massacre was one of Richard Nixon’s most infamous moments. On October 20, 1973, the embattled president ordered his attorney general to fire Archibald Cox, the special prosecutor investigating Nixon over the Watergate scandal. Nixon had to fire two attorney generals before he found one willing to fire Cox. The Massacre was later seen as one of the pivotal moments in the whole sordid Watergate affair. Which brings us to President Donald Trump. On Tuesday last week, the president fired James Comey as director of the FBI. This is only the second time a US president has ever fired an FBI director. (The first was in 1993, when President Clinton fired William Sessions for corruption.) It’s the first time the president has ever fired an FBI director while said director was conducting an investigation into the president. 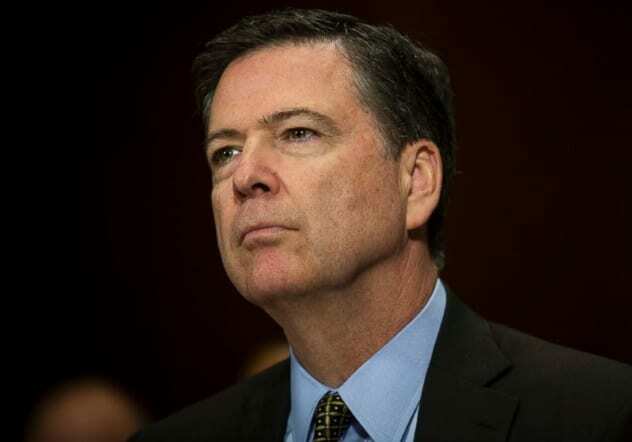 Comey was looking into possible collusion between President Trump’s team and Russia in the 2016 election. The official reason is Comey’s mishandling of the investigation into Hillary Clinton’s emails. But for some it is hard not to read the whole thing as a cover-up. President Trump’s disgraced former national security advisor, Michael Flynn, looks like he’s on the verge of prison over his Russia ties. The president’s inner circle is being investigated. Even if there really is nothing to see here, the timing is terrible. Expect more on this story in the coming weeks.